So what about our pets? Not everyone believes that animals have souls, but as living thinking beings, who is to say their consciousness does not survive beyond death. What makes a spirit stay on after death? Most believe it is due to a strong attachment to family or location. Many human spirits stay to haunt the scene of extreme emotional energy similar to a soldier killed in action or a murder in some back alley. Spirit entities haunt the place of terrific auto accidents trying to find their way home. Is it somehow different for animals? We think not. Rupert Sheldrake wrote a fascinating book titled “Dogs That Know When Their Owners Are Coming Home” In it he discusses this and other unexplained powers of animals. Sheldrake states that in today’s Mechanistic society, the dominate belief is “living organisms are nothing more than a complex genetically controlled machines.” At least now scientists are questioning that theory as quantum physics “points the way to a broader vision of nature.” In addition, a taboo that exists that dismisses any talk about psychic connection between our pets and us. Here is a look at a few stories about paranormal abilities of animals. These stories are familiar to animal trainers, search and rescue handlers, the blind and their guide dogs, veterinarians, Farmers, shepherds, zookeepers, reptile breeders and pet owners. When the phone rings at a California professor’s home, his wife knows when he is on the line. She knows it because her cat will run to the phone and paw the receiver. Sometimes the cat will knock the receiver it from its cradle greeting the professor with meows and purrs. The cat never pays attention to other phone calls, just his. A Swedish midwife works at all hours, but no matter the time her husband, holding a hot cup of tea, always greets her at the door. What accounts for his perfect timing? The husband knows she is on her way when the family terrier rushes to the window and stands in the still. morning found them waiting at the gate of their old stable. Their passing could be seen by the hoof prints left on the roadside, gardens and through flowerbeds between the two farms. An ability to tell time seems to run in our pack. Where ever I may be, every day close to 5 pm our dogs get restless, and begin boisterous play. If this doesn’t do the trick they start jumping up and down, launching themselves from sofa to chair and eventually on to me. The activity increases to a fever pitch and only stops when I walk toward the kitchen. Interestingly for a short period when we set our clocks forward one hour for daylight savings time, the ritual was interrupted, but they adjusted to the change within a week (just about the same time I did).Not only are animals aware of future events, pets have been known to react when someone they have a close bond with has died or is seriously injured in a distant place. Stories of the magical relationship between humans and animals are endless. These tales are examples of Telepathy, Sense of direction and Premonition, normally only associated with humans. 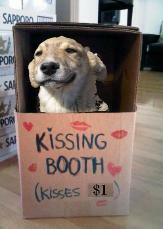 Although not linked with ESP, evidence of empathy and sympathy are observed throughout the animal kingdom. It is widely accepted these traits are part of the human soul, but the evidence for altruistic behavior in animals is usually swept aside.Sheep, birds, rodents and other species alert their groups to danger by sounding alarms even though the one who sounds the alarm may place the individual in even more danger. Elephants often stay with an injured or dying family member, holding vigil and giving comfort until death. They may remain with the body long afterward as if mourning their passing, and return to visit the site for years afterwards. Hospitals have turned to therapy pets to help with the healing process. Rupert Sheldrake named his cat “Remedy” as they realized she was just that. Somehow in times of sickness or sorrow, our pets sense they are needed, unselfishly offering emotional security, warmth, and unconditional love. 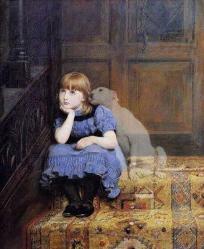 Often we hear stories of pets refusing to leave their owners side during sickness and even after death. Can an animal die of a broken heart? Pilgrims still visit the monument where Tip stayed by the body of her master for 15 weeks. Tip’s master was an eighty-one year old grounds keeper who set out one day for a walk with his dog. Rescue parties searched in vain for Mr. Tagg and eventually presumed to be dead. Three and a half months later some shepherds discovered the body out on the far moors with Tip barely alive curled beside side him. A similar story is told about a man who was lost in the remote part of the Lake District where his remains were only located months later when a Shepard noticed an emaciated dog hovering about the corpse. Another story is of “Hachi-Ko” a Japanese Akita. Rescued by Hidesaburo Ueno, a professor at the University of Tokyo, Hachi-ko would greet his owner at Shibuya Train Station at the end of each day. On May of 1925, the professor died of a cerebral hemorrhage at work. For nine years, the Hachi-ko returned every day to Shibuya Station at the time that his owner’s train should have arrived, faithfully waiting for his owner to return. 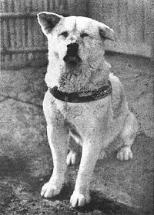 Hachi-ko died in 1935. A statue now stands at the site. From 1858, Edinburgh Scotland, comes the famous tale of a Skye terrier by the name of Bobby. Preceded in death by his owner, no one knows how the grief stricken dog made his way to Greyfriers Abbey Cemetery, but he was found sleeping on his master’s grave. With the kindness of locals who provided Bobby with food and water, “Old Jock’s” faithful dog guarded on the grave for 14 years, both summer and winter never leaving his masters side. The ghost of “Greyfrier’s Bobby” continues to haunt the abbey cemetery and his ghost is occasionally seen lying on his master’s grave. Investigators frequently encounter animal spirits. One such residential case was a puzzle. The client reported strange growling noises, unusual smells, doors opening, small dark shadows, and a cold wet sensation on his hand as it dangled over the bed at night. The homeowner felt as if he was being stalked by a demon and was scared to be in the house. He thought an exorcism was in order until he considered a less terrifying explanation. The haunting may have simply been the spirit of his recently deceased family dog who had a habit of rubbing his nose on his master’s hand as they settled in to bed. There is a legendary animal ghost that haunts the Capital Building in Washington D.C. The “Demon Cat” appears in the basement during times of political strife, natural disasters, or the unexpected death of a president. Always elusive and always black, this cat has defied security services for decades. The ancients strongly believed that animals had souls, and therefore a place in the afterlife. In Egyptian art, the soul is depicted as a bird, a cat, or some other non-human figure. Native Americans have a strong belief in animal spirits. To them, everything has a soul; the people, plants, and even the wind. On the other hand, Christian religions teach that God gave man dominion over the earth and animals, but only man has a soul. The soul is our spiritual center and our connection to heaven. Without a soul, one could not enter the kingdom of God. Who says the creator did not give souls to all living things? Animals have emotions, and experience many of the same feelings we do. Some scientists disagree, but they would be unable to convince pet owners. In my readings I have even run across stories of Near Death experients who have been met by their deceased pets! If love is the bond that ties, why wouldn’t’t the spirits of animals be connected as well? It seems animals do live on in spirit form after death. I look forward to meeting My old friends when I pass over the rainbow bridge. I surely would not want to spend eternity without them. 2. Sheldrake, Rupert. (1999) Dogs That Know When Their Owners Are Coming Home, and Other Unexplained Powers of Animals. Crown Publishers 201 East 50th St, N.Y, N.Y.